My regular readers will notice that the photo at the top has changed. 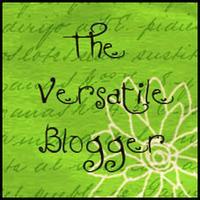 I decided that I wanted to shift the focus of my little corner of the blogging world to incorporate all aspects of my life. I am a doctor and a wife and mother but running, as well as fitness, has become a big part of my life and I want to be able to share that here. I felt that I was starting to write more about the running and wasn’t sure it fit in so I decided to fix that. So for now I am still the Urban Dr. Mom (but there’s much more to me than meets the eye). The weather has finally started to look more like spring so I dusted off the bike and rode into work today. I have missed riding my bike – it’s a great way of getting some cross-training done. My route is quite scenic and avoids cars and traffic. 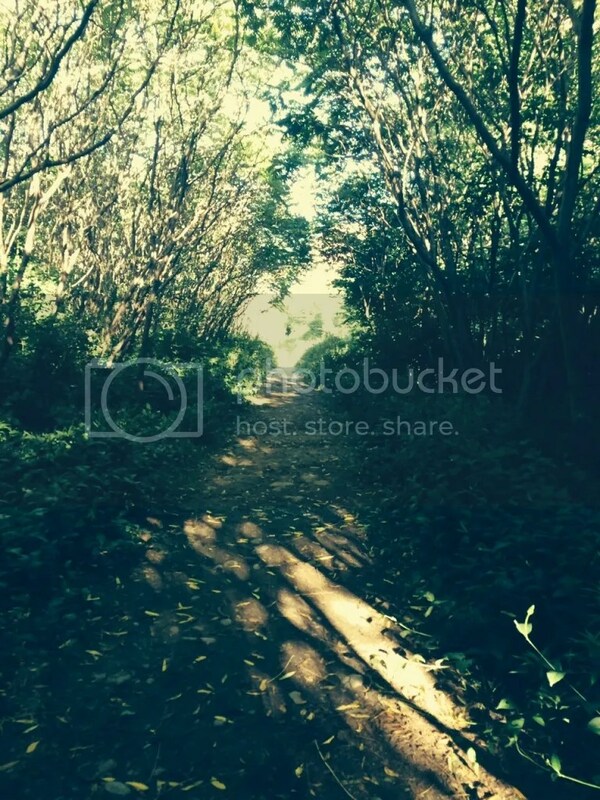 It has two big hills – one at the end near the office and one at the other end near home. I rode them both today but my legs were fighting me every step of the way. Still, after not riding for almost 6 months I’m a little surprised I made it! I guess all that running is paying off! Why must a 3-year-old take 10 minutes to brush his teeth? Why does he have to drink water from the exact same cup with precisely 3 cubes (because that’s how old is)? Why do you have to ask your 6-year-old repeatedly to do a simple task? Why must she insist on doing it in her own sweet time? Is it because she knows it infuriates her mother and it’s her only source of power? When and why does the obedient, smiling toddler become the infuriating and disobedient child? 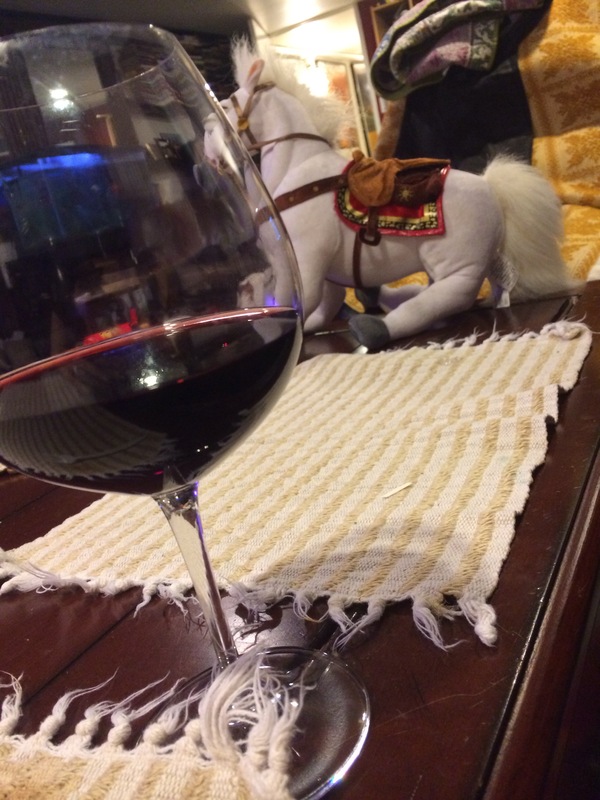 Is it to drive parents to drink? I’m starting to think so. I ran a quarter marathon yesterday. Actually, it was a little bit further than that. 11.11 km. All of my runs this month so fat have been 5 km. My legs have been feeling really strong and the nagging knee ache during a run seems to have disappeared. Even the ache and burn in my shins is settling down. I have no idea why. It’s not like I’m suddenly doing all this other cross training! I stretch after each run, do some basic core abdominal work and finish off with a 1 minute plank. Yet over the past week or so my legs seem to be liking the runs. I can’t tell you how nice it is to go for a run and not immediately feel something start aching and keep aching for the entire run. 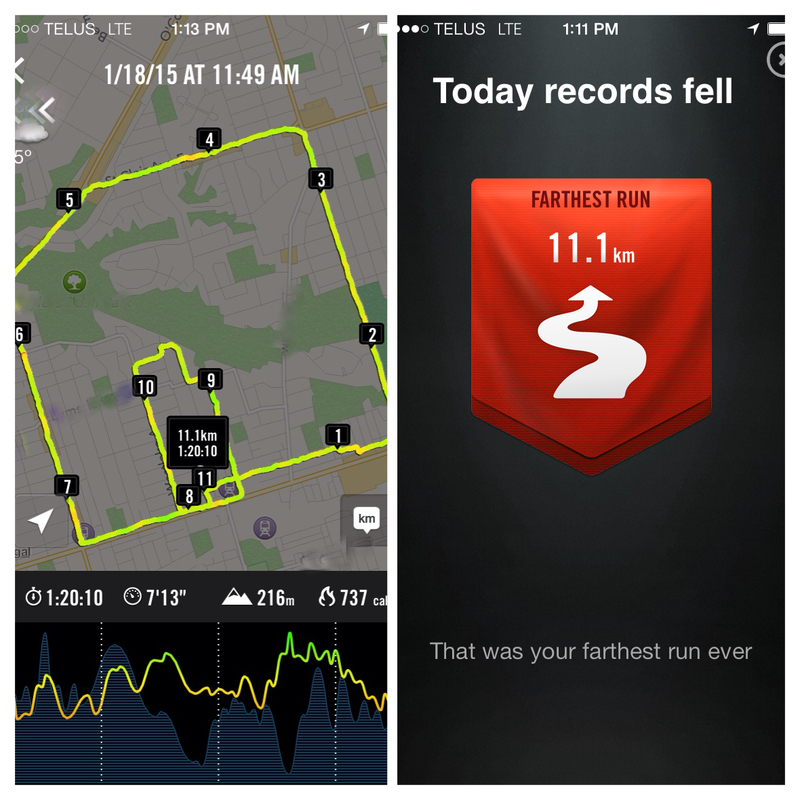 When I started out on the run yesterday I headed out to do the 7.5km route I had done back in December. The weather was a balmy 3C. I decided that this was going to a longer run so I tried to keep my pace comfortable. I ran for 1km then walked for 100m. At the 3km mark I decided to keep going along a new route that I thought would make the run end up more around 8km. Then something happened around 6km I started to zone out and felt like I was on auto-pilot. I remember thinking that this must be what the long distance marathoner experiences on their runs only for them it starts at 30km! Haha! 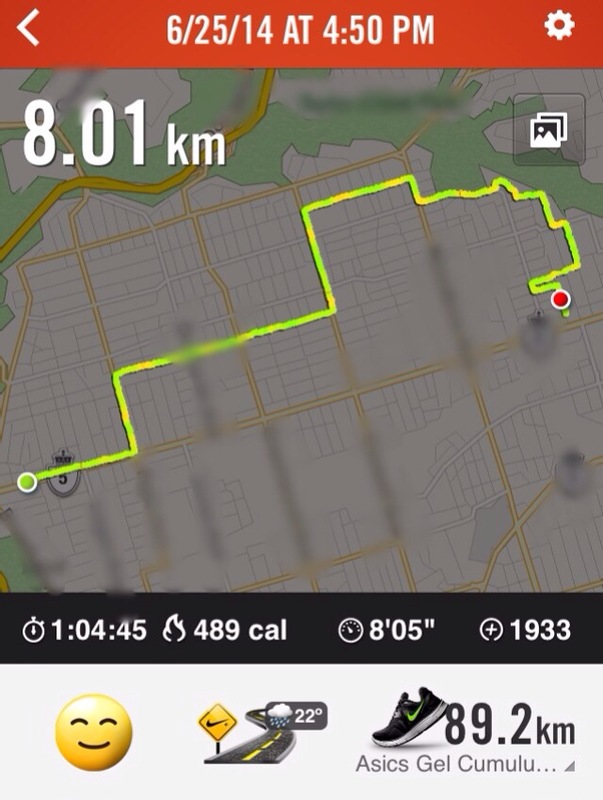 Suddenly doing 10km seemed a no-brainer so I kept going and at 8km I considered adding an extra loop. Next thing I knew I hit 10km and was at least a kilometer from home. On this final walk break I really felt my legs fighting me; it felt like I had heavy lead pipes for legs but I told myself I could do it and by the time I reached my driveway and stopped my Nike+ app, I had completed 11.11km. I was pretty impressed with my splits as well. This morning my legs were a bit sore but there wasn’t any pain and that is even more encouraging. I feel like I’m still on that runner’s high and even flirted with the idea of going out for a very short 2-3 km recovery run tonight. This weekend I had back to back 5 km runs. It wasn’t planned at all. 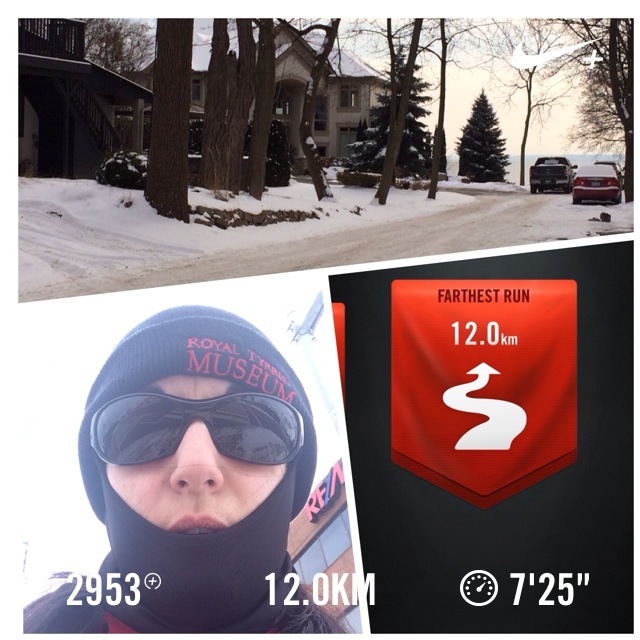 I ran yesterday in -11ºC (-22ºC windchill) and had zero knee pain. This after a particularly weird week where I had one day of excruciating anterior knee pain so bad I could barely walk which disappeared the very next day. 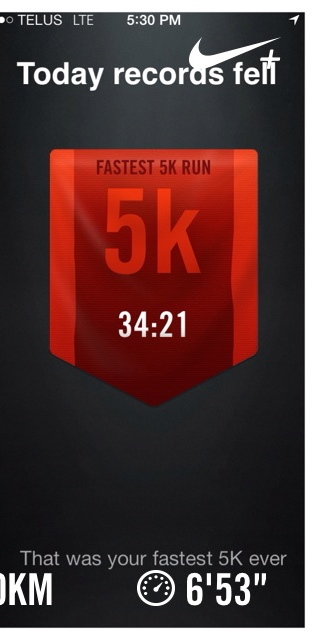 In fact, I don’t think I’ve had any run in the past month or two where my knee didn’t bother me. 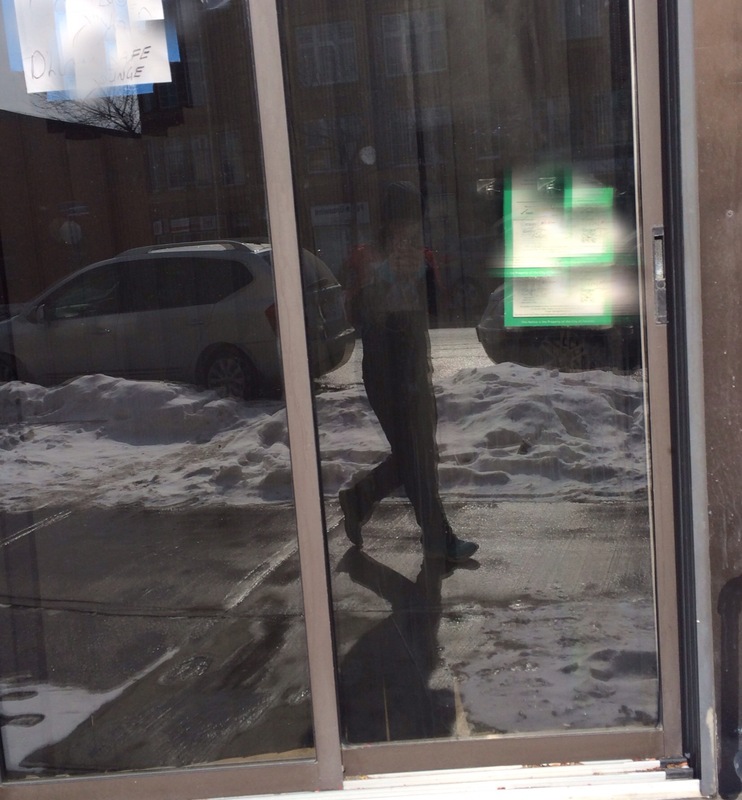 In any event, the knee felt great yesterday and I considered a short run today as the weather warmed up to a balmy -3ºC (-7ºC windchill). 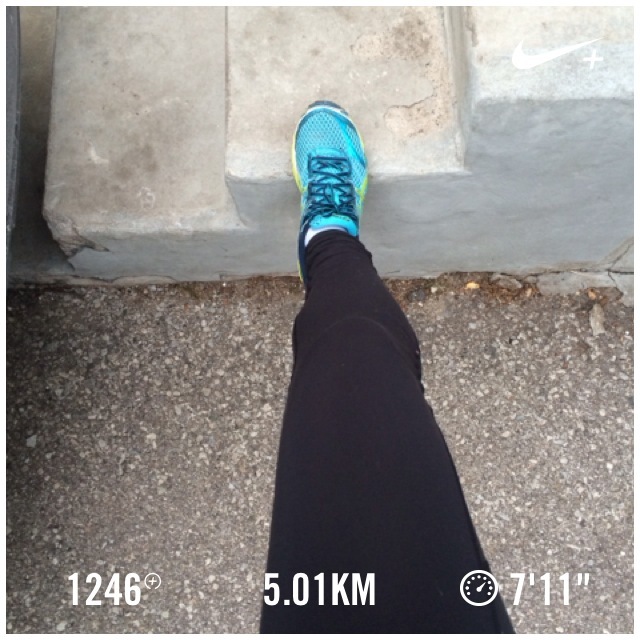 As I got going, I realized the knee was feeling pretty darn good, so I aimed for 5 km and accomplished my goal. 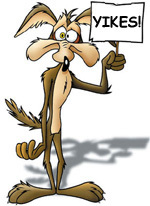 Two runs in a row with no knee pain. What gives? Honestly, I have no idea. All I know is that it feels damn good to go for a run and not feel pain. Haven’t experienced that in a long, long time. 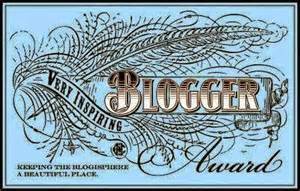 I accepted a challenge from another blogger to run 1000 km in 2015. Consider I only ran 640 km last year, this is a tall, tall order. I had set a goal for myself of 750 km. I’ll be happy with that; but a thousand? Stay tuned! So Close, I Can Taste It! 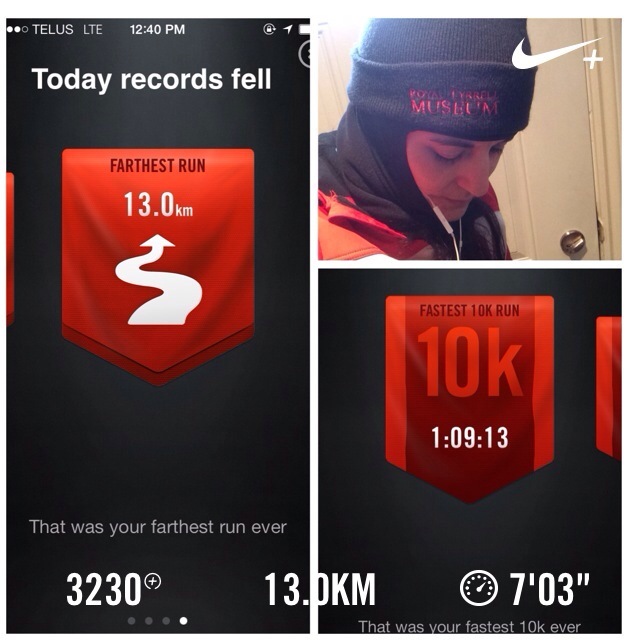 So, I’ve written before on my goal of running 10 km. Remember, this isn’t straight out running, rather, I run intervals. Last winter when I started running straight, I did too much too soon and got those nasty posterior shin splints. So, I took it down a (huge) notch and am running 4:1 these days. 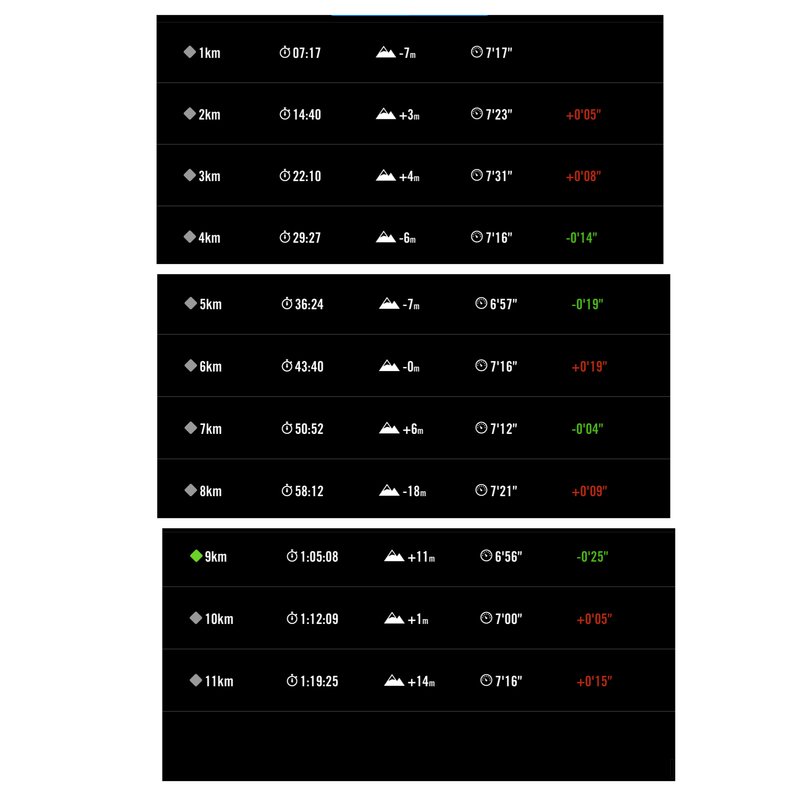 For the past month I’ve been running 3 times a week on average and increasing my distance by 500 m every 10 days or so. So, on I went. 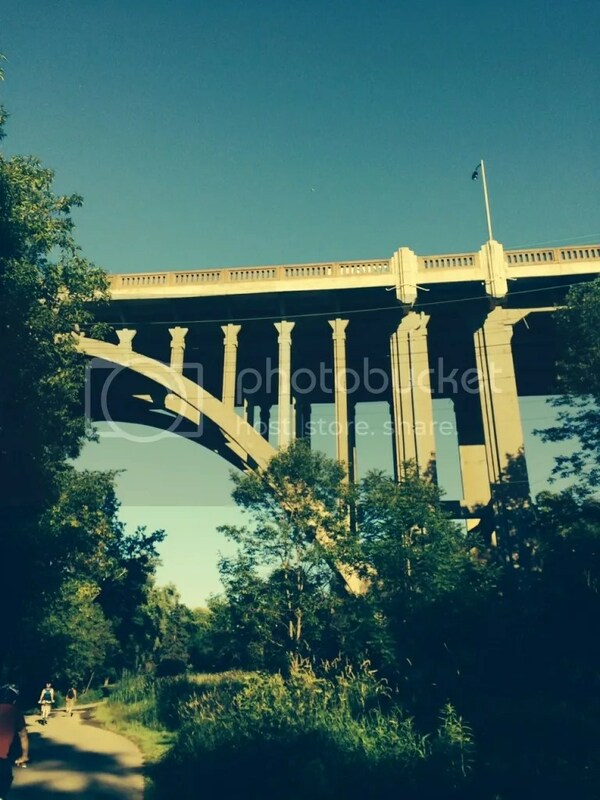 I ran to the end of the trail before it splits under a major highway. I made a U-turn and headed back, with the sun behind me. I ate a few bugs along the way (ewww… gross!!!) and took a few snapshots of my view. At one point, I saw a kitten on the trail, her owner just ahead of her. 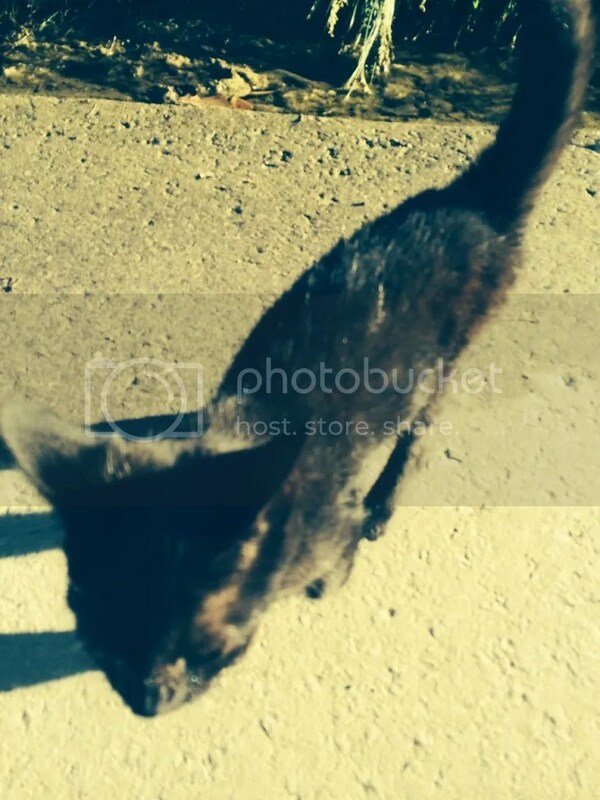 I’ve never seen anyone “walking” their kitten and thought it was pretty hilarious. Never mind that I absolutely adore kittens. Of course, I had to stop to grab a photo but the little thing was not interested in posing, so the shots are blurry (and there’s some weird filter on them too, I think one of my kids was messing with my phone!). Seeing the kitten gave me a spurt of energy that lasted a few minutes (ha ha!) but I really needed it. By this point I was about 6 km in and was starting to feel tired. Thankfully the scenery was beautiful. 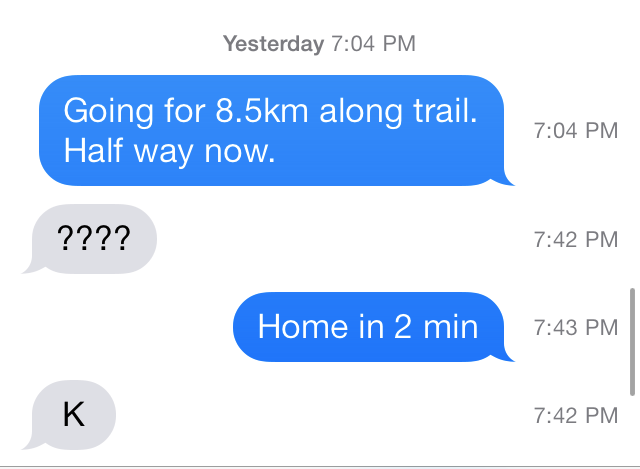 By the time I hit the 1 hour mark, I got a text from the husband. Apparently, he was supposed to leave at 8:30pm and he was waiting on me to get the steaks on the BBQ. Ha! Indeed. Why didn’t I? Because I thought my legs were gonna fall off. I cannot explain how stoked I was when I got home. 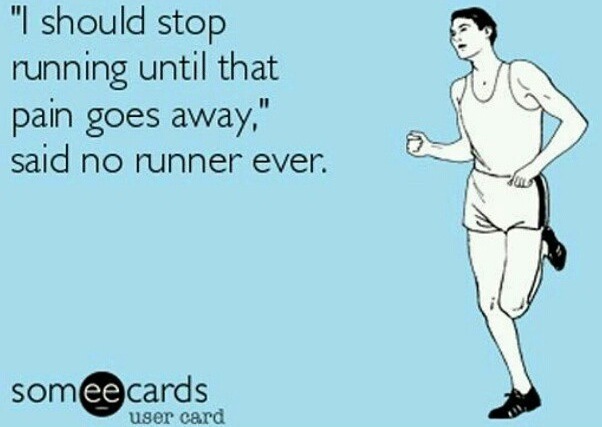 I’m sure the marathoners out there know. For me, 10 km is like a marathon. Happy Canada Day to all my Canadian followers!!! 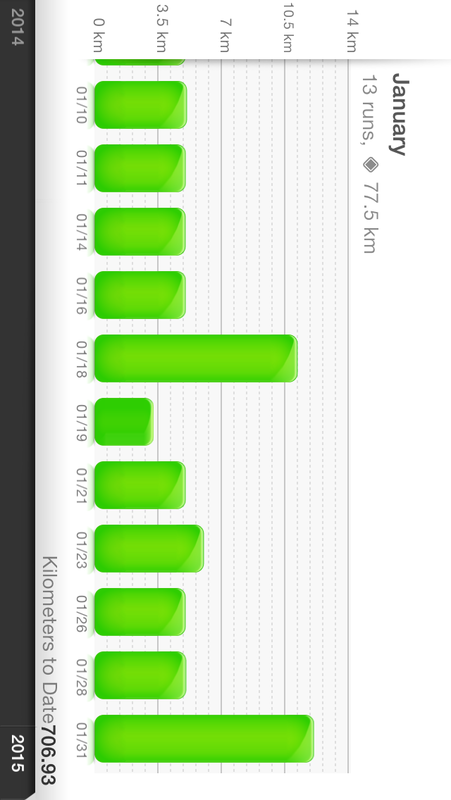 I finished off the month of June with a 4.77 km run. While I was really hoping to punch out 5 km, I set out around 6pm and it was still so freakin’ hot that I just couldn’t do it. I stopped at one point to grab a drink from a fountain near a park and was devastated to find it bone dry. The few seconds I stopped, I could feel the heat coming off me and my head started to hurt. I turned for home and by the time I arrived in my driveway, I looked like I’d just come out of the shower, only I was dripping sweat. I got into the blissful air-conditioned house and drank a half bottle of Gatorade. Thankfully that seems to have prevented the heat-induced migraine. Overall, June was a great month of running. I am feeling pretty good and injury free, thank goodness. I inched a few hundred meters closer to my 10 km goal and I think if all goes well, I will reach it sometime this month. July is going to be busy with work as I am covering for my colleagues the first two weeks, then we are off for a week to our annual cottage getaway. I’m not sure how much running I’ll get while at the cottage, it’s pretty hilly and very buggy, so we shall see how that goes. I am hoping to keep up my 3-4 runs per week though. 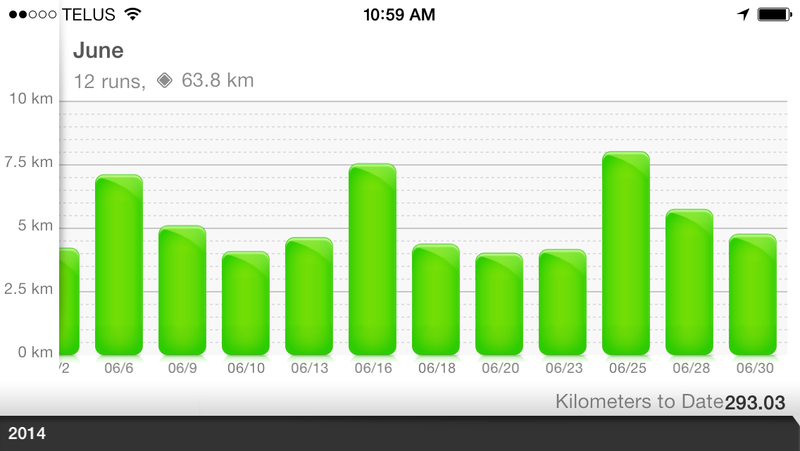 When I look at my mileage for June, it’s astounding to me that I ran about 64 km. It’s the most I’ve run in a month! I’m quite excited to see how I will do in July. I have fallen into a pattern in my running over that past few weeks. 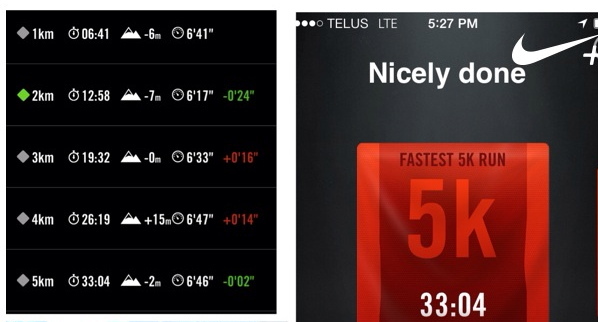 After running 7.1km on June 6, I decided to try to increase my distance by 500m every 10 days. In between I would run between 4-5km with a day or two rest in between. My legs have been feeling pretty good overall. A few minor aches but nothing a few days of rest doesn’t cure. The only new thing happening is that my legs feel super tight for the first 3-4km which makes those short runs a little bit rough. I’m not sure what’s causing it but thankfully it doesn’t prevent me from running. 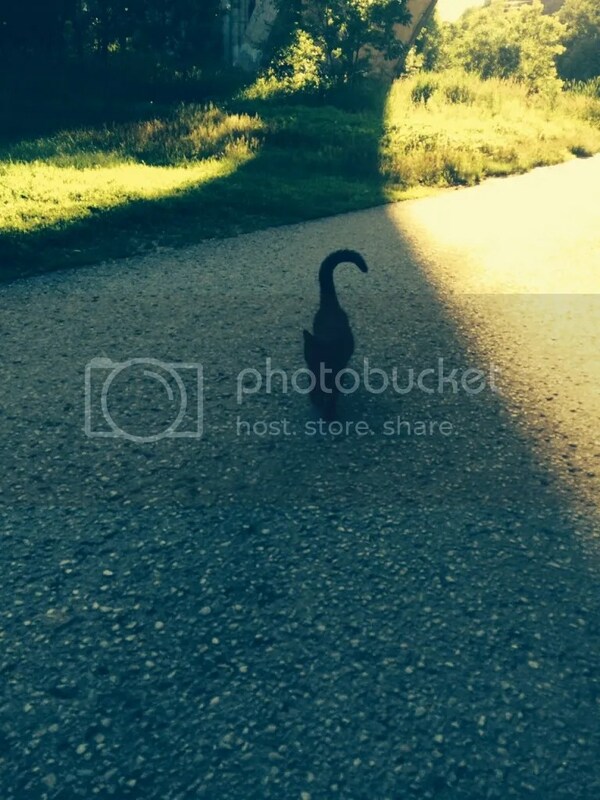 On June 16, I ran 7.5km. Today, I made a last minute decision to run home from work and asked my husband to drop off my gear. 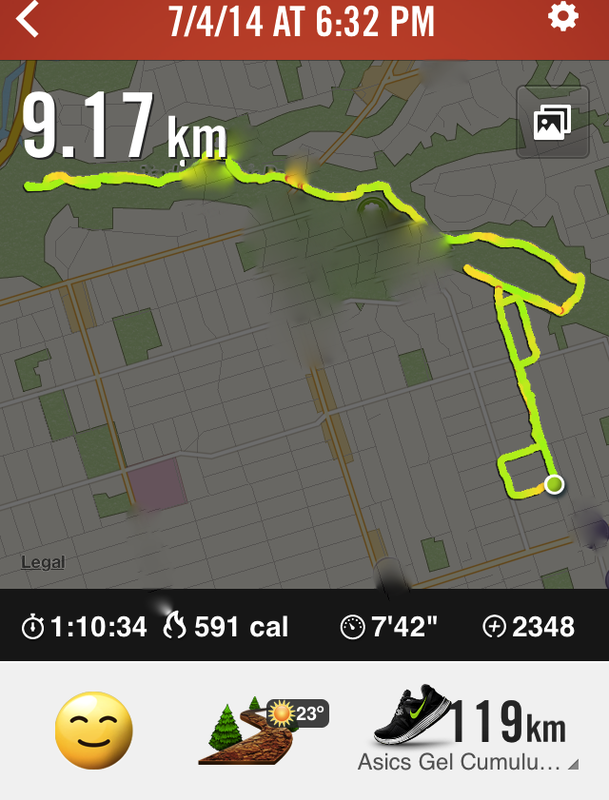 I mapped out an 8km route. After 3.5km I wanted to quit. My legs were tired but I pushed through, took my walk breaks and stretched them out whenever I hit a street light. It was hot and humid but there was a nice breeze which was a welcome relief at times. 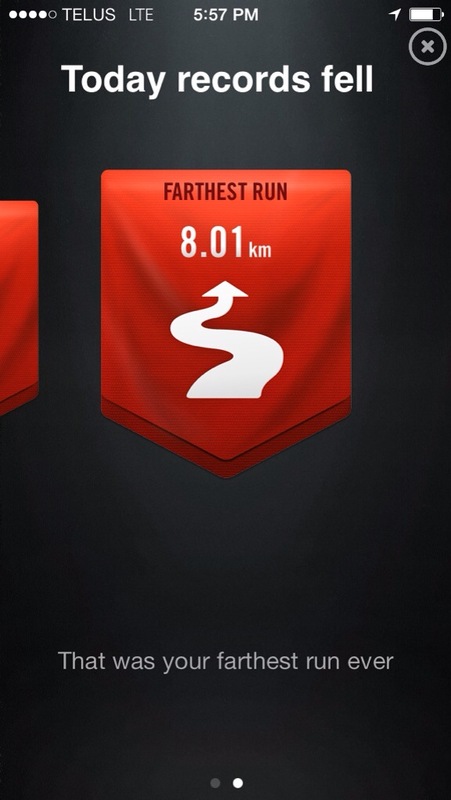 And just like that, it seems my goal of 10km is finally within reach. I took a two-day rest after my first run with the cleats. All of my lower leg muscles (the “stabilizers”) were on fire and I knew I should rest. I few doses of Advil helped a lot and this morning I set out for my self-imposed “easy, steady 30 min run”. As often happens, the distance/time that I intend on running is not what actually happens, for better or worse. Today it was for the better. It was starting to snow a little bit so I put the cleats on and set out. After the first few minutes I knew that my legs felt stronger already; I felt steadier on the cleats this time. Ten minutes into the run I started flirting with the idea of going longer, going further. My route had some traffic lights, so I had to stop a few times and stretched the legs. Thirty minutes of running turned into thirty-five, then forty. I had a distance in mind and my legs (and lungs) seemed to tell me I could do it. I had a little bit of soreness in both ankles and in the soleus muscles but I pushed through.